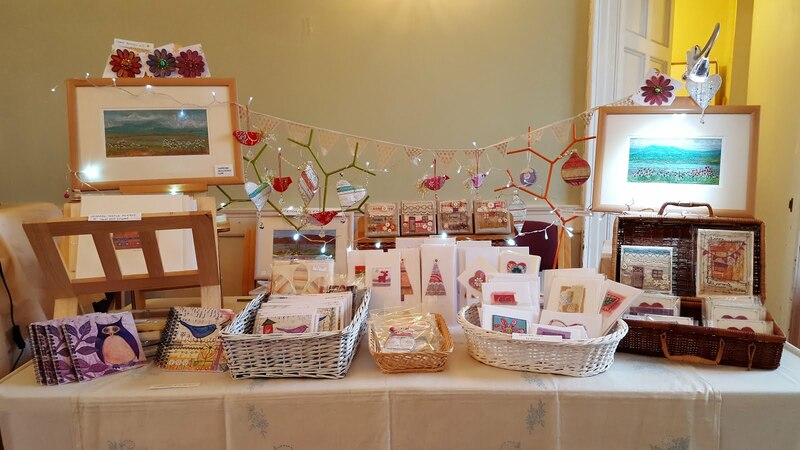 Falkland Palace Enchanted Palace event this weekend, Friday, Saturday and Sunday sadly the link shows that it's sold out but you can still access the craft fair and Santa's Grotto on the day. Parking may prove to be challenging but I'm sure it'll all work out. 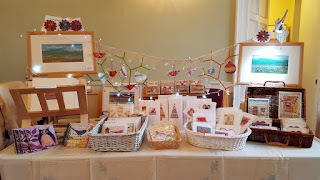 This is a view of my stall from the late night shopping events at Falkland, sorry I forgot to post about them. Pop along if you can manage. It's a bit far for me to come Moira, (Auckland, NZ) but all the best for your stall which looks so attractive. Love the hearts and the birdies!